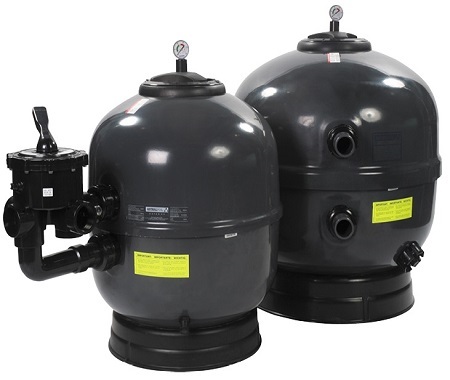 Sand filter systems are one of the most common types of septic systems in greater than 35% clay areas that have limited permeability. This system uses 3 different types of material over the depth of 50 inches to achieve its 98% clean water discharge. Followed by a chlorine contact tank before finally discharging to the surface. 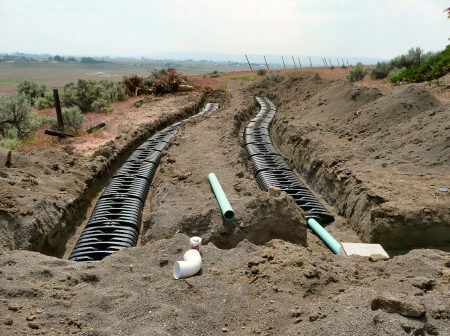 A trench is defined as a soil treatment and dispersal system, the absorption width of which is 36 inches or less. Trenches are narrower than they are wide, no wider than three feet, and are laid out along the contours of the soil. 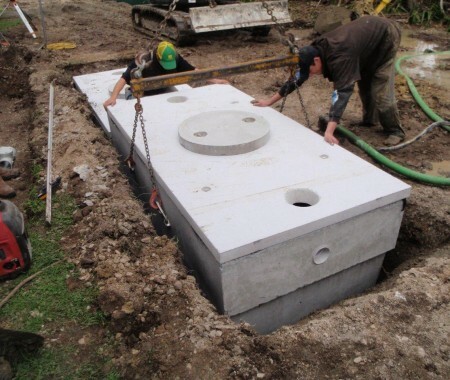 The method of distributing the septic tank effluent can be either pressure or gravity. A seepage bed system is a wide area prepared to accept septic tank effluent. It is created below the surface of the soil and built the same way as a trench system. Seepage beds treat the effluent effectively as long as they are located in appropriate soils. They can use either gravity or pressure distribution. The construction of a seepage bed is essentially the same as that for a trench, except the bed is wider.